Visit us an join in Largest Jamboree in the World! 10.00am JOTA and JOTI open in the main hall, lots of activities and bases to complete the communicator badge for the sections Beavers/Cubs/Scouts with our Badge Books available from reception when you arrive. 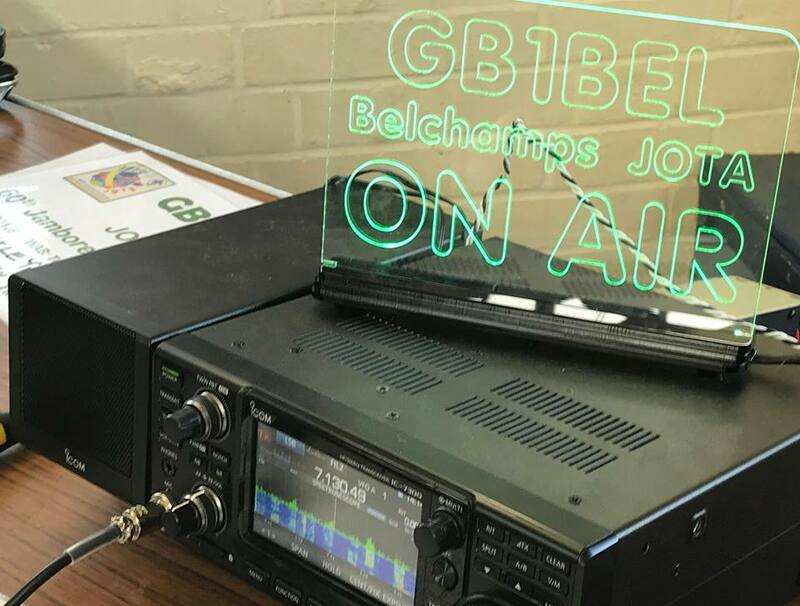 Essex Ham Amateur Radio Team with Bases to get you on the air and more. SSTV Transmissions – with pringles tubes!! Air Band Radio Base – Track, See and Listen to the Skys! War time Radio, Try on a radio pack (great for pictures)Cold War Numbers Station Base, Can you crack the code and eat your message! Play the World Scout Game Bingo, exchange our JID Code with other JOTI/JOTA and try to get a full house. Pi-Code try your hands at coding with the PI-JAM Team and see some amazing digital making with Raspberry Pi. So much to do you will need to visit again and again!! 12.30pm Activities Close for Lunch. plenty of space for a picnic. 1.30pm Activities JOTA JOTI Reopens no doubt you will still have lots you have not done yet. 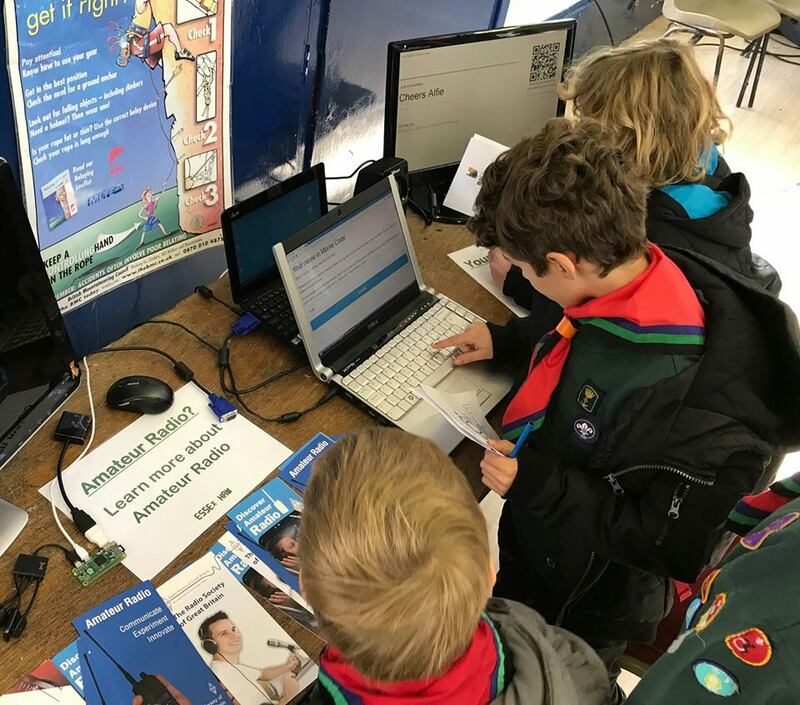 Jamboree on the Air and Jamboree on the Internet, day visit rate £8 Open to Beavers, Rainbows, Cubs, Brownies, Scouts, Guides, leaders free on the day visit. Talk and communicate with Scouts from around the world using armature radio and the Internet. Lots of technical workshops, computer games and some of the Belchamps activities will be open for some downtime.